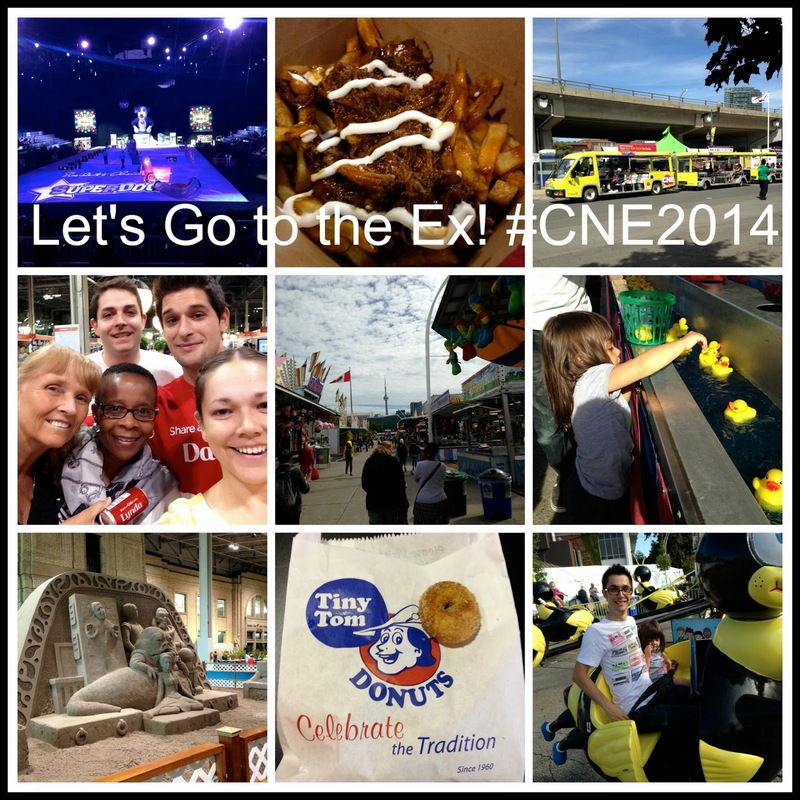 As a native Torontonian, a yearly tradition for me is attending the annual CNE (Canadian National Exhibition). When I was younger, I was all about the Tiny Tom Donuts and the rides. Now that I'm a Mom, I'm still all about the Tiny Tom Donuts, but I see the Ex through my daughter's eyes. We still spend a little bit of time on the midway (Hannah isn't quite tall enough to ride the rides herself), but we enjoy watching the President's Choice SuperDogs, spending hours in the CNE Farm building looking at the piggies and cows and of course riding the Fun Train (well, Hannah, I'm too big for that one). The CNE can be so many things to anyone. Great shopping. Great food. Great entertainment. It's all at the Ex. The highlights for me personally in 2014 was finally obtaining my own personalized Coke after looking for weeks and seeing Optimus Prime - both located quite close in the Direct Energy Centre. Hannah's was riding the Fun Train all by herself. 1. Arrive Early. It doesn't matter how you get to the Ex - parking, GO Train and TTC are always less busy before the buildings open at 10 a.m. Try to plan where you think it's most important to start (for us, it was the Food Building) and avoid line-ups. 2. Bring a stroller. There is ample stroller parking at the shows. Although the thick crowds can be difficult to navigate in some buildings and on the midway, I don't think little ones would survive walking the entire day. I know at a few points I wish Hannah's stroller could handle more than 50 lbs of human. 3. Bring snacks and a water bottle. There is plenty to eat on the midway and the infamous Food Building, but you never know when your little one might get hungry - or if they'll like what you enjoy. Sad to say, Hannah did not like Tiny Tom's this year. She lived on hot dogs and rice...and I lived on Tiny Tom's. There are many water stations throughout the grounds to refill water bottles. 4. 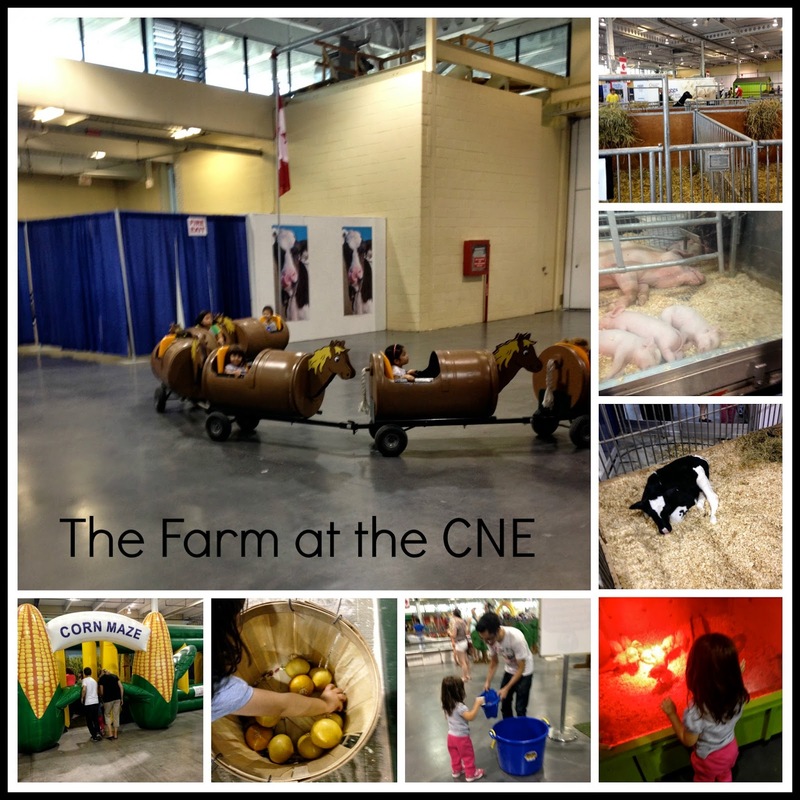 Spend some time in Kids' World and at the CNE Farm. There's a playground. Hannah wanted to go down the slide and have a swing. During a day where you structure most of it, it's nice the let your kids run around and get some energy out. There's also a bunch of great stations in Kid's World - music, magic, art and even making pizza! This is also where you can see great kids shows - Hannah loved watching Splash 'N Boots! It's right next to the Kiddie Midway, and fairly close the the CNE Farm, another kid favourite - you can learn about and see many animals, participate in the Kids AGventure becoming a farmer for the day and of course, take a ride on the Fun Train. Hannah also enjoyed leading Daddy and Grandma through the Corn Maze. All of these activities are free for the younger bunch and included in the price of ground admission for the bigger kids. 5. Be thankful for the numerous building washrooms. There was plenty of places to change Hannah - her clothes AND her diaper. On Kids' Street in Kids' World there is a Baby Care Centre where you can nurse and change your child. The CNE is definitely family friendly and a great place to spend time together before the hectic month of September begins. I'm crossing my fingers next year Hannah will be tall enough to dominate the Kiddie Midway...and that her tastes will adjust to enjoy the amazing Tiny Tom Donuts. Have you visited the Ex? Disclosure: I received three adult passes and parking for the purpose of this review. As always, opinions on this blog are my own.